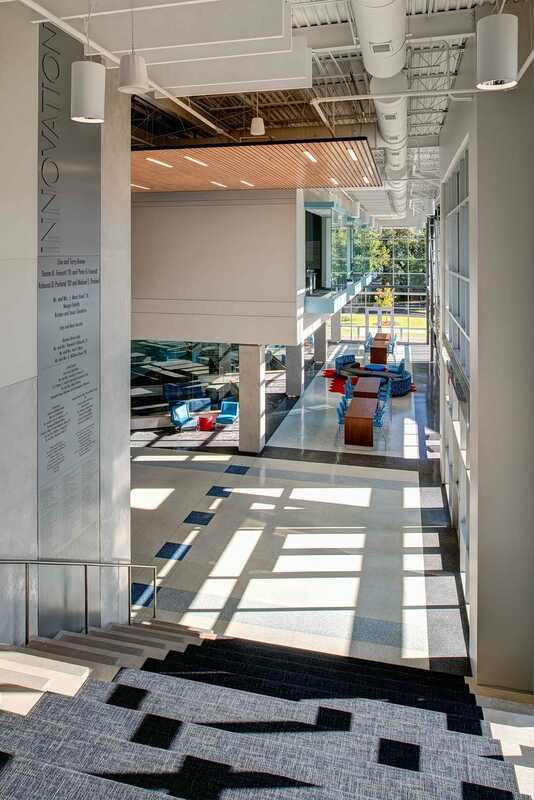 The new 30,000 square-foot Science and Innovation Center houses Hammond’s upper school science labs, a STEAM lab including a planetarium, and a maker-space. 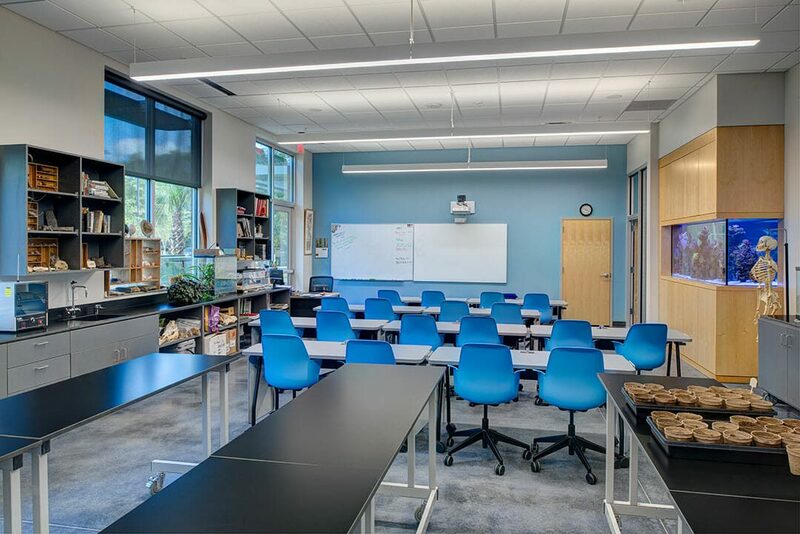 The teaching spaces are flexible and contain features such as movable furniture and lab tables, plug and play electrical ceiling grids, and overhead doors extending lab space into the corridor. 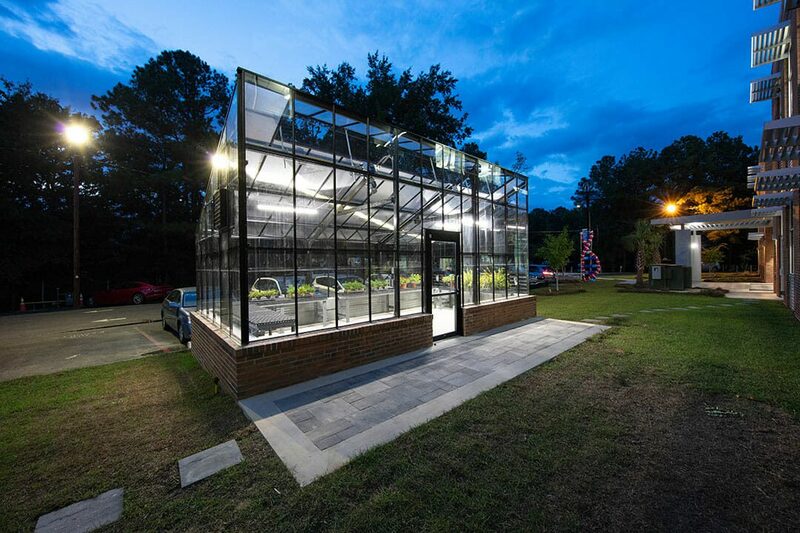 The labs spill outdoors, connecting the spaces to a green house, a green roof patio, and an overhead door that opens to an exterior project plaza. The main entrance opens into a two-story spine and is flanked by a sculptural concrete bleacher stair on one side and The Nest on the other. The Nest is a 3,700 square-foot open, flexible space with two overhead doors that allow overflow into an entrance courtyard. 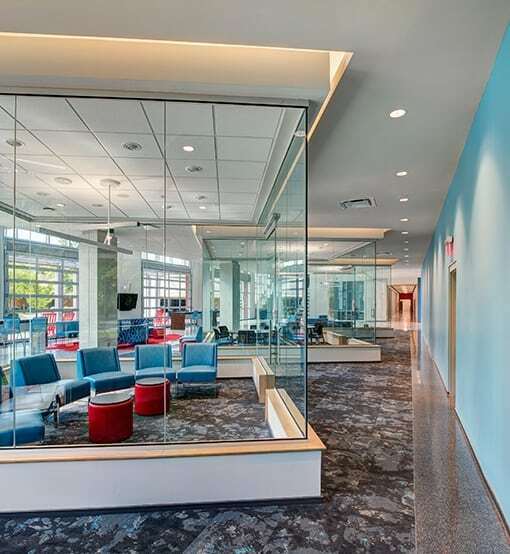 Three glass Collaboration Rooms within The Nest allow for semi-private group work. 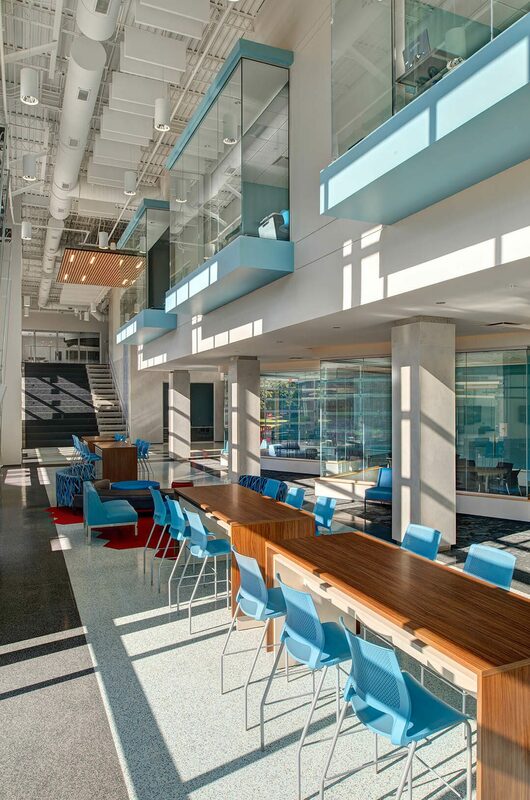 Open and transparent spaces were a core focus for this project in order to allow the entire building to share work and ideas easily and collaboratively. Photography by Brian Dressler and Kickstand Studio.